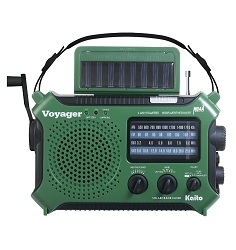 It is good for our radio models KA550, KA500 and KA600/KA600L. This kind of transformer type of adaptor is good for charging the radios and good for FM, but for the AM and SW, it is better to use the built in rechargeable batteries or external batteries. This AC adaptor is intended for indoor use only. Price of 14.95 includes shipping to the United States. At this time we are not offering this product to our customers outside of the U.S. and Canada. International orders will be canceled and refunded without notice.